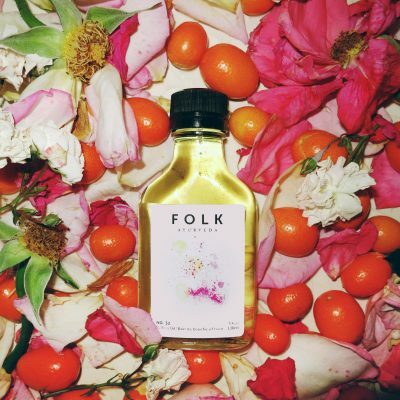 The word folk is often associated with a kind of old-school medicine, art or culture that’s distant from the mainstream. 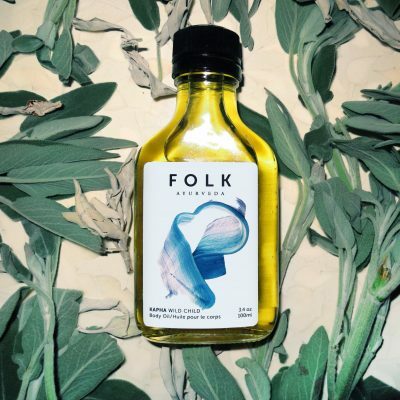 Folk Ayurveda brings together the spirit of these elements through earthy soul remedies and by cultivating community. We are dedicated to the yoga lifestyle, boho beauty routines, and exploring what’s modern, rural, and naturally healing. 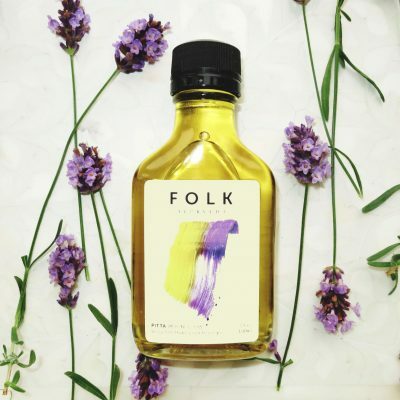 Based on the holistic traditions of Ayurveda, our luxury organic oils are handcrafted blends of healing herbs, roots and wild-harvested botanicals; created for both mind and body to feel deeply nourished and support around the effects of daily stress. Each apothecary line is uniquely designed to awaken self-care and to balance the body’s natural energies, known in Ayurveda as Vata, Pitta, Kapha. 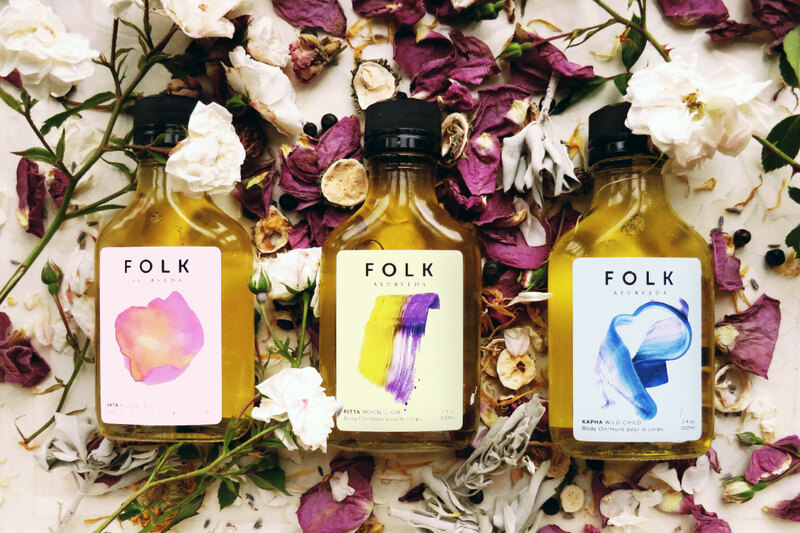 Every batch is formulated in a 108-hour herbal infusion followed by a 40-day botanical soak. All our remedies are made along traditional Vedic mantras, with the intention of inspiring a return to radiance. 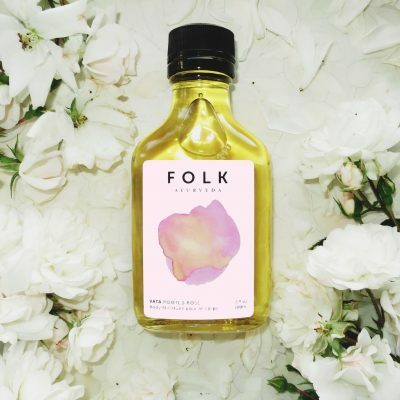 Folk Ayurveda is an artisanal line of organic mind-body products, handcrafted in small batches and based on the holistic traditions of Ayurveda.